​Chelsea have reportedly been forced to set an asking price for star forward Eden Hazard, as Real Madrid remain interested in signing the Belgian. Hazard, who will find himself out of contract at the end of next season, has made no secret of his desire to join Real Madrid, admitting that ​he is not currently negotiating a new deal with the Blues as he considers his future. He has long been linked with a move to ​Real and, according to ​Marca, ​Chelsea have set an asking price of €100m (around £88m) for ​Hazard as they seek to avoid losing their star for free when his contract expires. However, given he has just 18 months remaining on his current deal at Stamford Bridge, it is thought that Real will look to negotiate a lower transfer fee for the 28-year-old. Hazard is reportedly unwilling to harm his relationship with Chelsea by forcing through a move to Real, and will instead wait until the end of the season before officially requesting the move, giving Chelsea enough time to manage the situation. 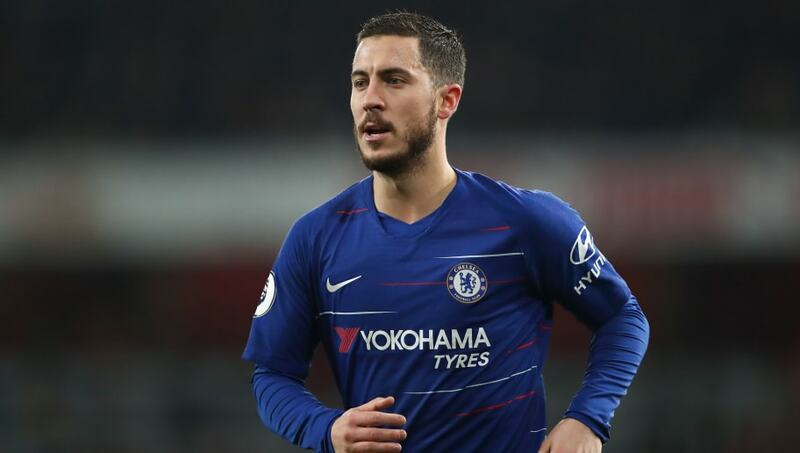 Real are also thought to be wary of angering the Blues by attempting to unsettle Hazard during the season, having seen ​Chelsea's frustrated response to ​Bayern Munich's public pursuit of starlet Callum Hudson-Odoi. Chelsea director Marina Granovskaia will be forced into negotiations with Real at the end of the season, and will attempt to stand firm on their valuation of Hazard. She will use the expensive transfers of ​Paul Pogba and ​Neymar as an example of how the transfer market has inflated in recent years, and will reportedly demand no less than their £88m price tag. Real president Florentino Perez had hoped that the likes of ​Marco Asensio, ​Isco and ​Gareth Bale would have been able to carry the side following ​Cristiano Ronaldo's departure to ​Juventus. However, with the side struggling for consistency in ​La Liga, it is thought that they will be incredibly active in next summer's transfer market as they seek to recover from a frustrating season.